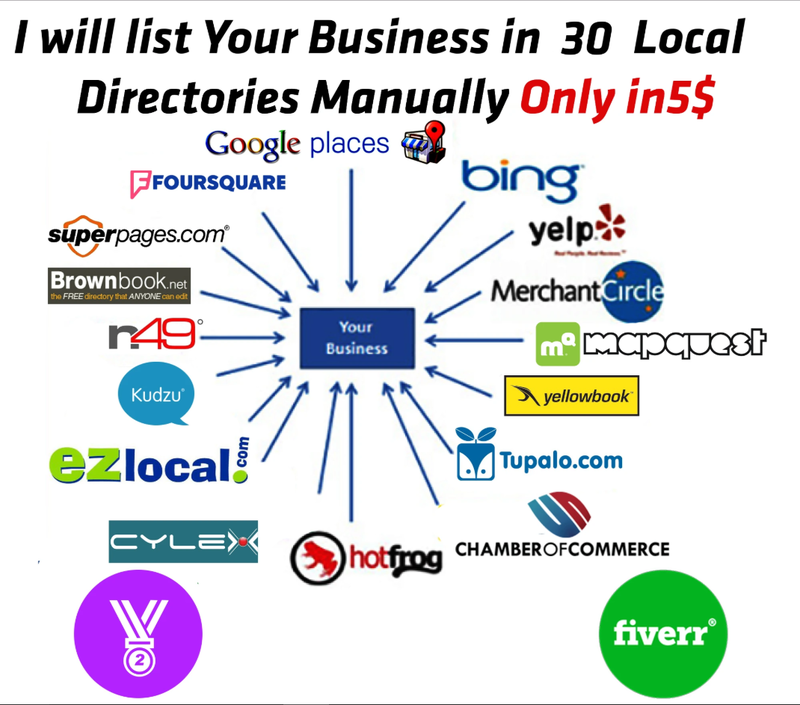 I will list your Business in TOP 30, 50 and 100 Local Directories MANUALLY. for $5=30, $15=50, $30=100 Listings ONLY for USA, Canada, and Australia. 100% Manual Work, NAP Constant for ALL Citations. Full Report With Login Details. WHY YOU BUY THIS SERVICE? ✓ Local Listings can appear on the 1st page of Local Google search results. ✓ Targets local consumers ready to buy a certain product or service. ✓ Organic traffic will be driven to your website. ✓ It will give you qualified leads, since people from your geographical area will be directed to you. ✓ These listings help you to beat your competitor. ✓ Enhance your visibility on major local search results.